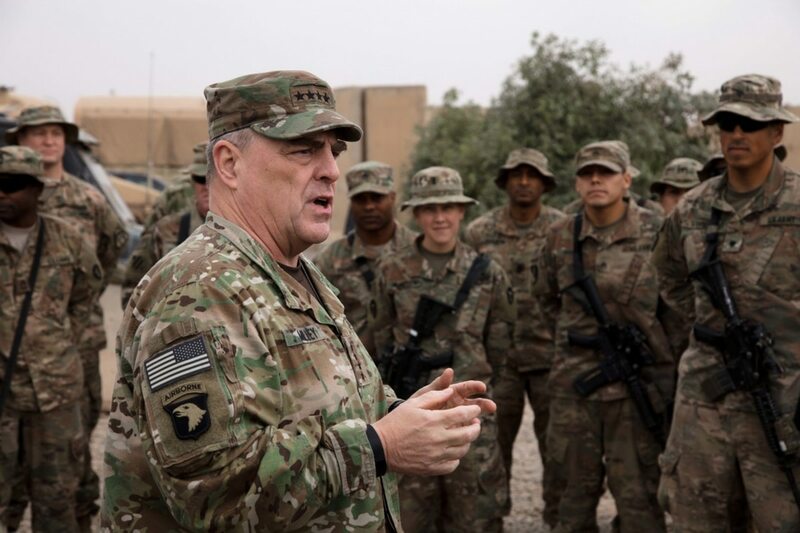 WASHINGTON — The U.S. Army chief of staff, who recently returned from a trip to Iraq, said U.S. troops there will continue to help Iraqi security forces root out Islamic State militants, but what comes after that for the Army in the war-torn country remains to be seen. Milley wouldn’t say whether such troop presence could include the Army’s newly conjured security force assistance brigades designed specifically to train, advise, assist and enable foreign militaries and police forces. The first SFAB based out of Fort Benning, Georgia, is headed to Afghanistan next month and has been training rigorously at the Joint Readiness Training Center ahead of the deployment. Milley said during the breakfast that SFABs formally institutionalize a practice of training, advising, assisting and enabling indigenous forces that has long been resident in the Army. Funding for the new units were requested for the first time in the fiscal 2018 Army budget yet to be approved by Congress. “The need has been there for a long time, and we have met that need,” Milley said, “but we have met it in the last 16 years through ad hoc measures, in my opinion, and I’ve been a participant in that. Milley lamented having to previously break up brigade combat teams to create units that could support indigenous forces in an advisory role. The Army, for example, has trained, advised and assisted forces in Iraq and Afghanistan but had to do so at the expense of the conventional Army. “We only have X amount of these brigade combat teams, and if we take a whole bunch of them and we shrink them and take their leadership apart and they go through an exercise and become advisers, then you are essentially reducing your ground combat capability by whatever amount you commit to the task,” Milley said. The chief said the second SFAB is being established at Fort Bragg, North Carolina, and will deploy this time next year. The Army is deciding where to station the third SFAB in the U.S. and will stand up the fourth and fifth in 2019 as well as one within the Army National Guard.